alan hitt: Do Crazy Relatives Mean Your Family is Nuts? 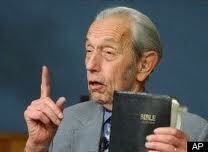 Harold Camping is only the latest "problem" relative. I once had an aunt with a serious case of schizophrenia. 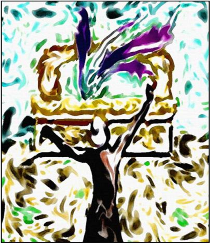 She thought one of her daughters came to her on a beam of light from the moon. She also had rages of temper and threatened to kill her children. Things got so bad, she had to be hospitalized for a time, and then medicated for years.